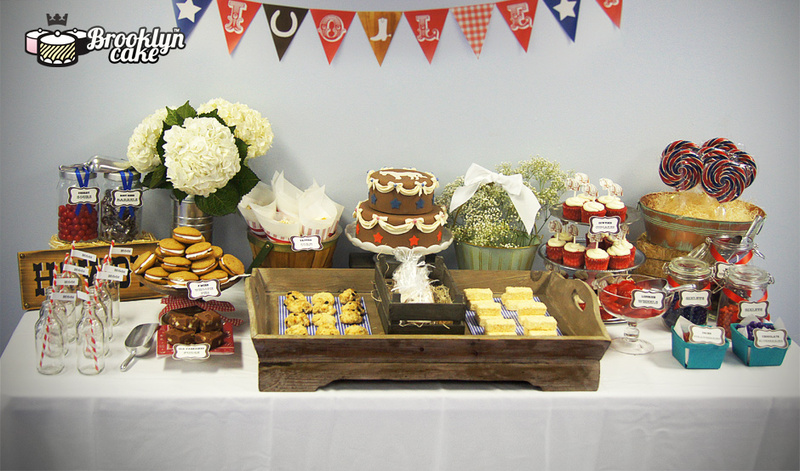 For a completely original dessert table for a beautiful wedding, birthday or other occasion please contact Brooklyn Cake today. 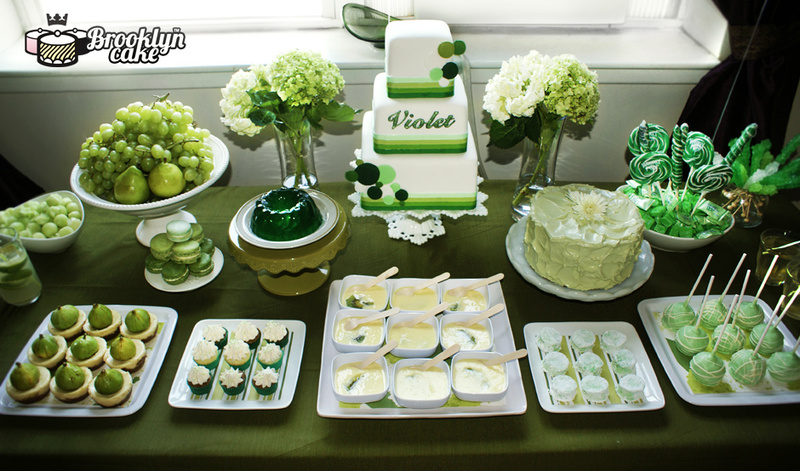 We can also outfit your cake with a gorgeous and stylish designer dessert table or buffet to create a truly lavish showstopper. Pricing for dessert tables starts at $800 for a minimum of 30 persons. 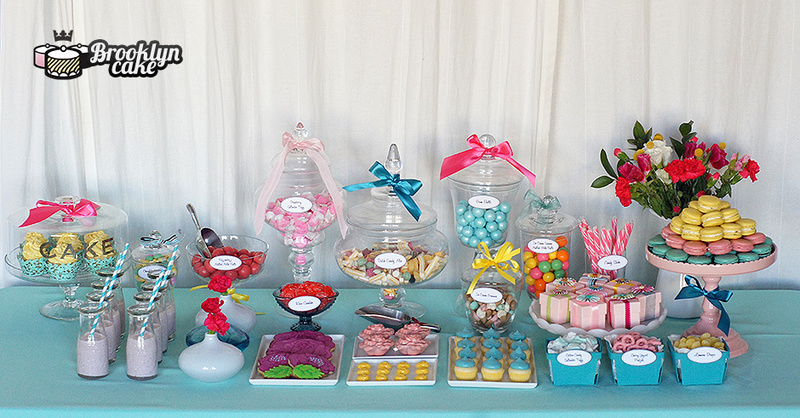 This includes an option of 3 dessert items (pricing does not include a centerpiece cake), a small candy bar ensemble, rental of wares and design consultation as well as some handcrafted decorative items and some custom printing. We are also available for design-only consulting. Set up and delivery is an additional cost. Some dessert options available are but not limited to: cupcakes, mini cupcakes, artisanal marshmallows, cookies, French macaroons, American macaroons, whoopie pies, mini tarts/cakes, truffles, cake pops, brownies, panna cotta, creme brule and other custards, meringues, etc. Each item can be customized.